From counting cars to spotting familiar landmarks, every car journey is a chance for your toddler to discover more. Raising your child higher up, the forward-facing Maxi-Cosi Tobi car seat ensures a great view out of the window. Chat about what you can see outside, then at nap time there’s five seat positions to choose from. It’s got all the safety features you’d expect, including essential side impact protection to help absorb the shocks of collisions. It installs easily using your car’s three-point seat belt with a belt tensioner for a reassuringly secure fit. Our Tobi car seat is designed with your child’s comfort in mind so they’ll want to sit in it. A handle at the front lets you adjust to the reclining positions, quickly and easily. The clever stay-open harness makes it hassle-free to put your child in the car seat and settle them. You can adjust the straps with one hand to accommodate bulkier clothes and avoid it being too tight. The headrest and harness height adjust together to adapt quickly and easily to fit your child as they grow. Suitable for your child from 9 months (9kg), Tobi will fit your child up to age 4 years old (18kg). 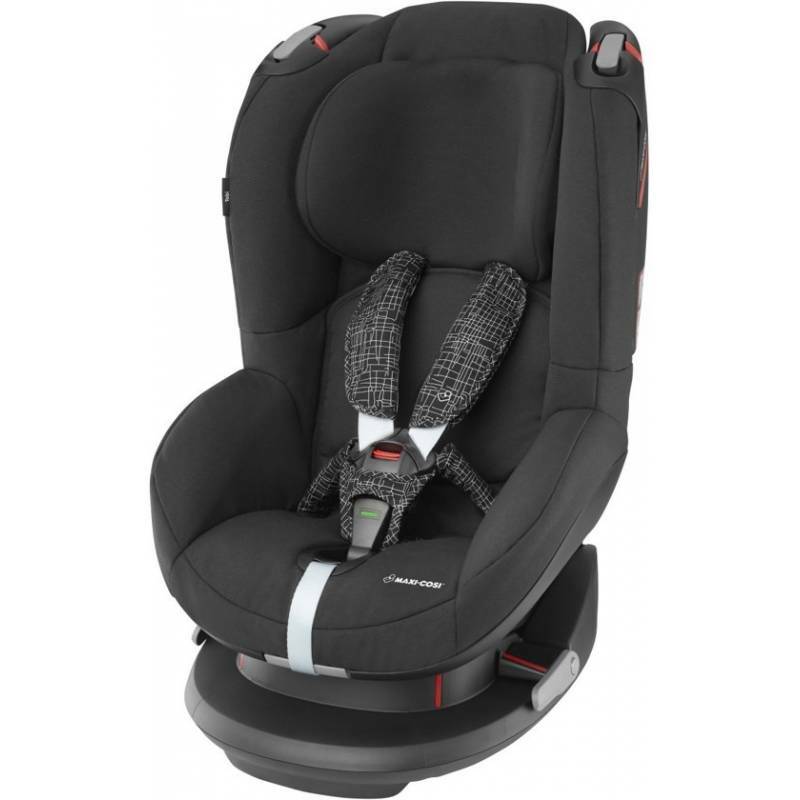 This Group 1 car seat is compatible with a range of high quality accessories to make travelling even easier. These include moisture-absorbing summer covers for hot days and replacement seat covers to make keeping car seats clean a breeze. Find accessories or browse our other toddler car seats, including the Maxi-Cosi Rubi XP, Maxi-Cosi Priori XP and Maxi-Cosi Opal.